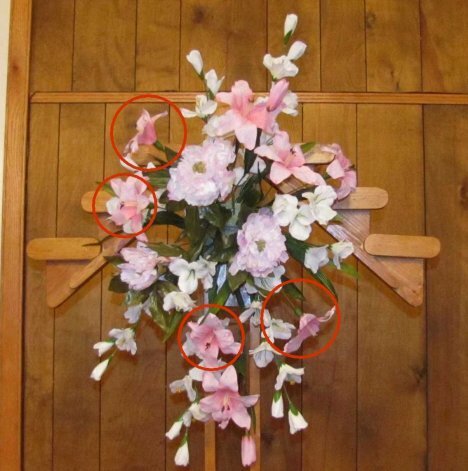 This church decoration idea is easy to incorporate changes such as using your own personal flower choices and color scheme. 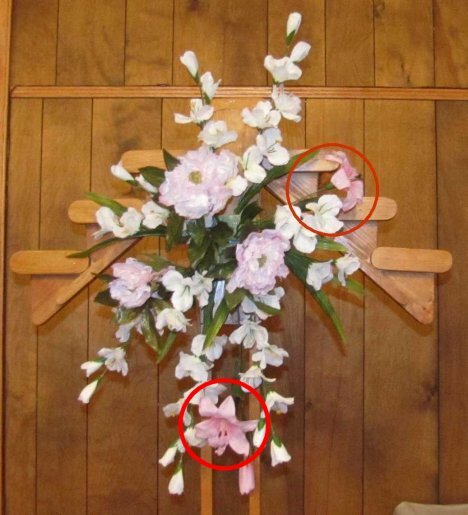 The basic tutorial remains the same, regardless of the flower or colors used. I used larger Asiatic lilies, first adding one on the bottom and the next facing the upper right side. Add a third Asiatic lily on the topside of the cage, facing upward and slightly out. 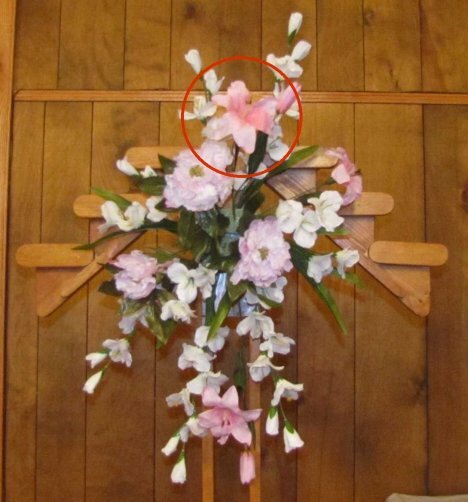 Two more Asiatic lilies are now inserted into the left side of the floral cage and lower flowers in the center and right. The completed design does not utilize any greenery. If you wish, greens can be added to add more color contrast and interesting textures. 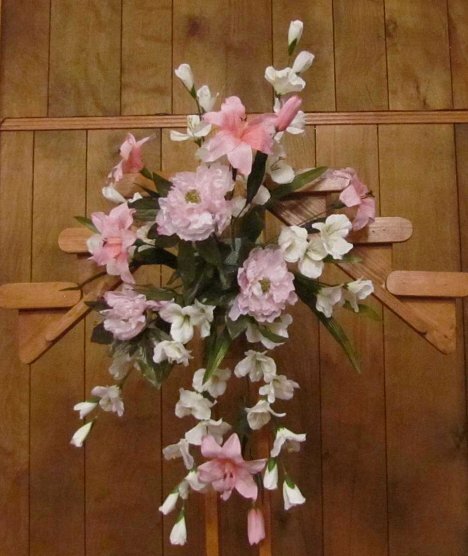 Greens also can create a lovely framework, making your flowers pop out more and the overall arrangement look bigger.